I use the following on all my photographs, poems and other pieces of work: ©Villayat Sunkmanitu. Keyboards don't have the copyright tag easily available, so please feel free to copy it from here. Generally speaking there isn't a need to add a date to a piece of work like a photograph, song or poem. I add a date to my website to show how long it has been in operation. Please do remember to always save the original file for the purposes of photography and only work on the copy. Then ensure that you have a file structure on your hard drive that allows you to save both variations in the same folder. Eg If I photograph 'kingfishers', I save all of the images that are of a good enough standard to be sold as prints or leased for publications and website usage into a folder called 'Kingfishers'. 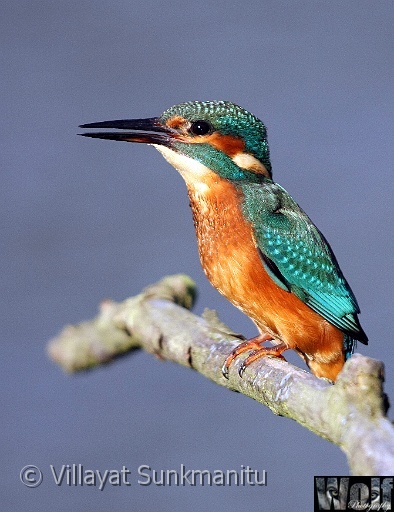 I then rename the final marketable images as kingfisher 0001 (numbered consecutively) Copyright Villayat Sunkmanitu. This leaves no doubt as to who owns the image, identifies it properly for the purposes of search engines and gives me a level of protection. I also 'watermark' all my images - this means that a copyright notice appears on the images themselves. You should also ensure that the Metadata is updated on your images. It is a good idea to get into the habit of placing a copyright tag on items that you create eg writing something on the back of your painting or adding a copyright tag as above. Even though these right are automatic, you must ensure that you state that your work or creation is protected. This sort of tag should be used on your web page. Please feel free to copy and adapt it to your name. Watermarking is the the process of adding text and or a logo to your images as part of the 'copyright' process. Most graphic packages offer you this facility.